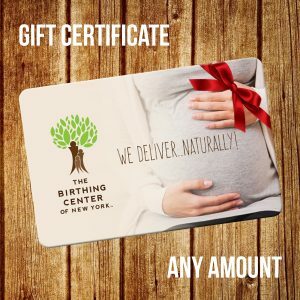 Birthing Center of New York Gift Certificates Make a Great Gift! The Birthing Center of New York Gift Certificate can be used at the birthing center for our products and services. Give the gift of love at the premier birthing center of New York!